Sakai Community DocumentationSakai 19 User Guide (English) PollsHow do I modify Polls tool permissions? 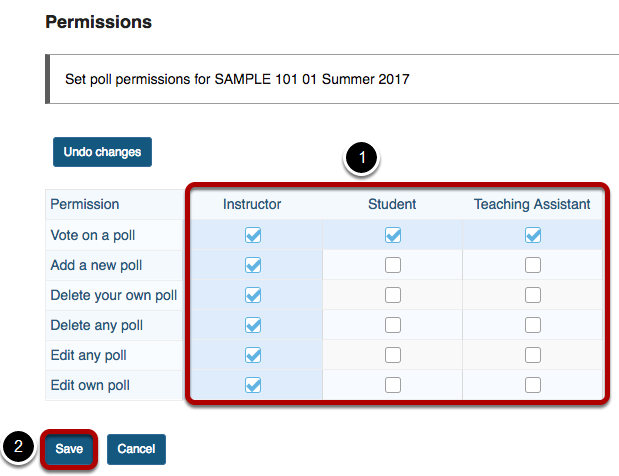 Instructors can modify the Polls tool permissions to allow students or other site participant roles to post and manage poll questions. Next: How do I edit a poll?